All the above courses, with the exception of EMO Master Practitioner and Modern Energy Healer, can be taken in Distance Learning format where you can go at your own pace with Tutor support. Please enquire. £167 includes 1 day workshop live, video online training or Distance Learning, full colour manual, attendance certificate, 1 year standard membership of The GoE for non members and Tapping Goodie bag (contains: Modern Energy Tapping by Silvia Hartmann paperback and ebook, Big Teds Tapping Book for kids, A4 handy Tapping guide for kids, and A4 tapping guide for adults, SUE scale wrist band to monitor energy ) This course is everything you need to set up using Tapping for yourself and your family. £550 Includes : Two days training, comprehensive manual, Certificate in Modern Stress Management and 1 year licence and membership of The Guild of Energists. £150 per day Includes workshop and a copy of The Love Clinic. Live or by Skype, attendance certificate. £645 includes 3 day training, professional licences and membership of The GoE, tea and coffee on the day. Live only. £645 includes 3 days training, training manuals, tea and coffee each day, professional licence and GoE membership fees. Live or by Skype. £450 Also known as the Modern Energy Coach. Fee includes 1 day training, professional licences and membership of The Guild of Energists. Live or online video training. Contact Sandra Hillawi to be referred to The GoE to become a Trainer. Please note that in all cases of cancellation, during the first 14 days after payment you have the right to a refund. Thereafter although no refunds are possible, 100% of all fees paid will credited towards a future course, retreat or sessions for 12 months after the cancellation date. Contact Sandra Hillawi directly using the details below. Payments can be made by bank transfer, paypal or card Invoices sent to you by email. Please feel free to contact Sandra Hillawi with any questions about training courses and for all your booking enquiries. Are you ready to explore and discover the beauty power and creativity of your own limitless mind? SuperMind is the combined Conscious Mind and Energy Mind, working together in the world of memory, metaphor, lucid visions, stories, imagination and much more. All that is not in the 'hard world' of the present moment that we touch and feel physically is in the energy worlds. The SuperMind Master learns how to navigate these worlds and use them in many ways to heal, learn, evolve, create, solve and enrich life leading to SuperMind Master qualification. I am starting this online course for those who want to learn how to love yourself. It will be an 8 week online live course with me as your facilitator. It will take place in Zoom video meetings where we will gather, connect with each other, learn, apply, heal, grow and evolve in love together in a shared journey. I am happy to announce that from 20th June 2018 I will be offering self help and professional trainings by Distance Learning as well as my normal group live trainings in different locations. This applies to MSM Modern Stress, Management, Energy EFT, Modern Energy Tapping, The Love Clinic and EMO Energy in Motion for personal use.. I am most delighted and proud to be bringing amazing new Modern Stress Management and Energy Coaching Trainings to Egypt to help people to release and manage stress stress, learn about their emotions and energy, feel energised and great again, achieve their goals, projects and dreams and to enjoy more love happiness and success in life. This is an exciting new Advanced training from The Guild of Energists, preparing the professional Energist to work as an Energy Coach Professional supporting and empowering people who are already 5+ on the SUE scale but want to be at their best, +8,9,10 more of the time in order to have the energy power and creativity to achieve their projects, goals and dreams. 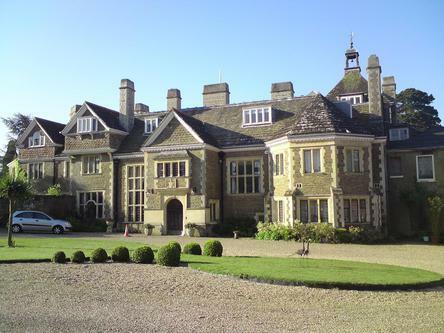 Weekend Experience at Sedgwick Park House 13-14 May! with International Trainer Sandra Hillawi, author of the transformational book The Love Clinic. This 2 day retreat is a hands-on experiential workshop that will really change you in your thinking, in your feeling, in love, in your relationships and in your life. Everybody is welcome. 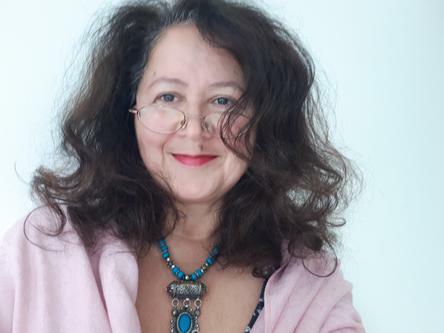 The NEW Energy EFT Foundation course, created by Silvia Hartmann, is a live training and distance learning course, that is powerfully focused on healing yourself, and covers self-help, as well as using EFT (Emotional Freedom Techniques) tapping with friends and family. The Energy EFT Foundation contains contains a wealth of uplifting and inspiring exercises, tips and techniques especially for self-help, and is the perfect course for the EFT beginner. Its pure delight and a real treat as well! It was in 2002 when I decided I would like to become an GoE Trainer. I'd been working with EFT for 2 years and having great success using it with clients in my natural healing practice. I helped release stress, aches pains headaches, more serious health problems link to stress, relationship and anxiety, confidence and self esteem, depresssion,addictions. 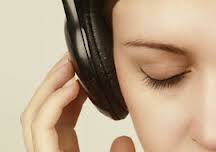 My practice started to change from detoxification and naturopathy to energy focussed work. After two years of astonishing results, time after time and deeply satisfying work I realised more people should know about EFT and its possibilities so it became a natural evolutionary step to want to share this powerful and wonderful healing technique on a bigger scale. It was 2002 the year that EMO was launched, and in deciding to attend the launch it made sense to take the trainer's training for EMO too, and teach them both. I am most excited to be starting this new project for 2014 setting up regular support groups online using web based video conferencing that has now come of age. This creates the opportunity for Trainers, Practitioners and Clients, that means everyone to stay in touch with me and each other on a regular basis without even having to leave home and to enjoy ongoing healing, support, personal and professional development at an affordable price and make great spiritual and personal development buddies. Departing in a new direction from classic EFT and born out of our experiences with Energy EFT Positive EFT is a simple way of tapping to feel better. Without delving into the past to relive events that need healing we simply ask : what do we need NOW to feel better? and very quickly we raise our energy to feel great again. Positive EFT is the fast acting Antidote to stress today. If you’re an GoE trainer you’ll be qualified to teach this course having attended this training with Sandra. The Guild of Enegists Official Distance Learning route to become an EMO Practitioner has now closed. The only way to become a professional EMO Master Practitioner is to attend a live on location course, to have the full range of experienes and learnings that this brings. Check my training diary for my next live events. However... you may still follow this original EMO training by Distance Learning for Personal exploration and learning with myself, the most experienced EMO Trainer in the World today, as your tutor and coach. Check out the details and register here. 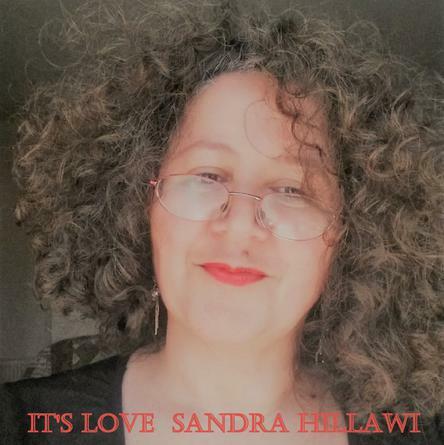 Join International Traıner Sandra Hillawi, author of The Love Clinic, to learn the energy secrets of love and relationshıps and transform your experience in love and relatıonships forever. 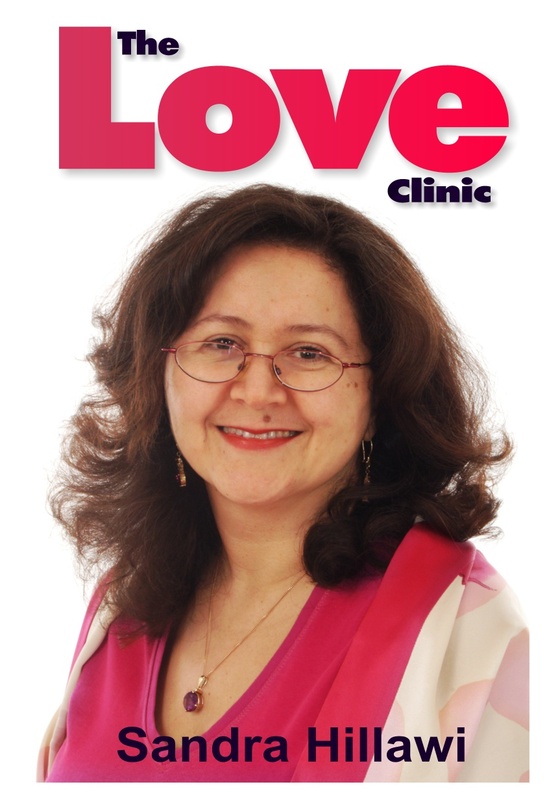 The Love Clinic workshops are open to everyone and take place as 1 and 2 day workshops both online by Skype and at various locations. These are hands-on experiential days that will be really transformational in your thinking, in your feeling, in your relationships and in your life. Read on for more details. Once agaın we had the most fantastic training ın Istanbul at Radıa, personal development centre run by Seda Rodop ın October 2012. Master GoE Traıner Sandra Hıllawı reports on the EFT Master Practıtıoner Traınıng and EMO Traınıng and welcomes new practıtıoners and two new traıners to The AMT. After the traınıng Sandra had some tourıst tıme so ıncludes some pıcs of İstanbul too. I am most delighted and excited to announce that I will be presenting EMO in Casablanca Morocco 27-28 NOvember 2012. I am just so excited! To me this is one of the most exotic romantic locations and definitely a perk of being an GoE Trainer, getting to visit such wonderful places and meet wonderful people from different cultures. For this event I am the guest trainer of Dr Hassan Atlagh, who in addition to being a medical doctor, has a training and personal development centre in Casablanca introducing new therapies and techniques to his fellow countrymen. Its been afew years since I travelled UK wide to teach EFT and EMO to well over 1500 people in that time. Its taken me afew years to recover!! Well now we have the most excellent, all new, fresh, uptodate, rich and juicy EFT Master Practitioner Training, I am moved once more to take this great new course around the UK to let practitioners update and refresh their skills and introduce new practitioners to the wonders of Energy EFT and life beyond zero.